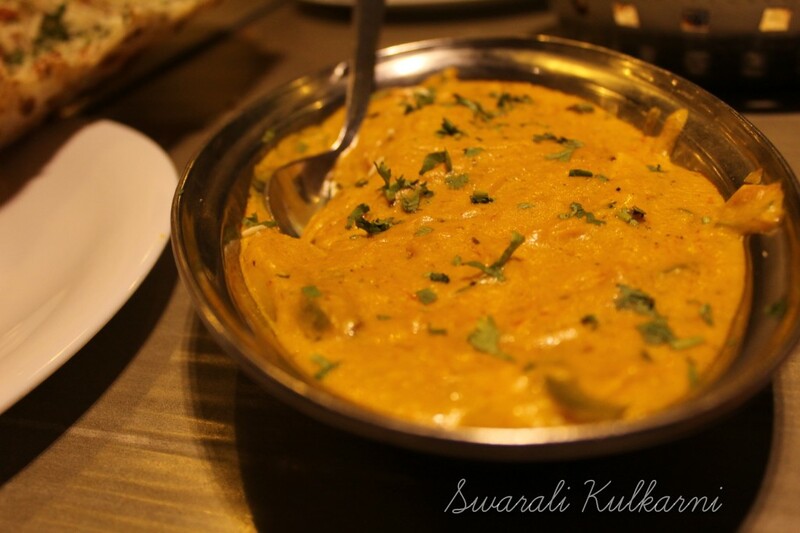 Spices & Flavors or widely known as S&F is a famous chain of vegetarian restaurants. 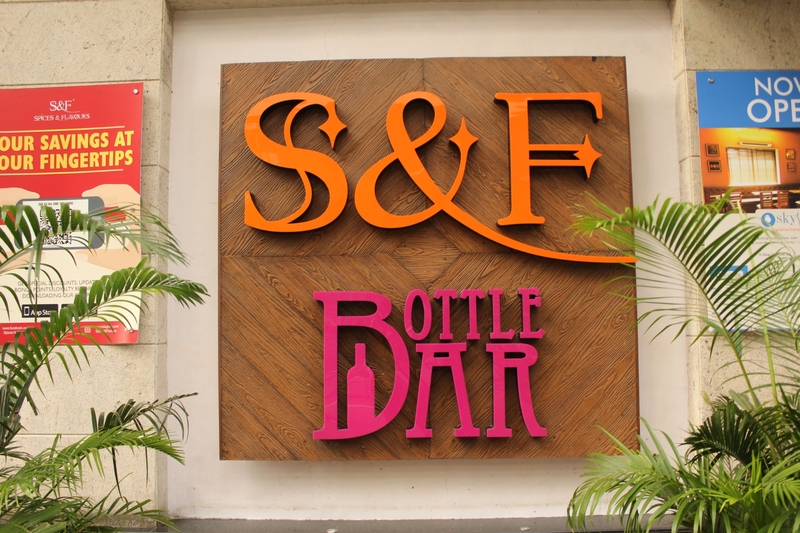 Tracing back to 2005, S&F had just one humble branch in Worli. 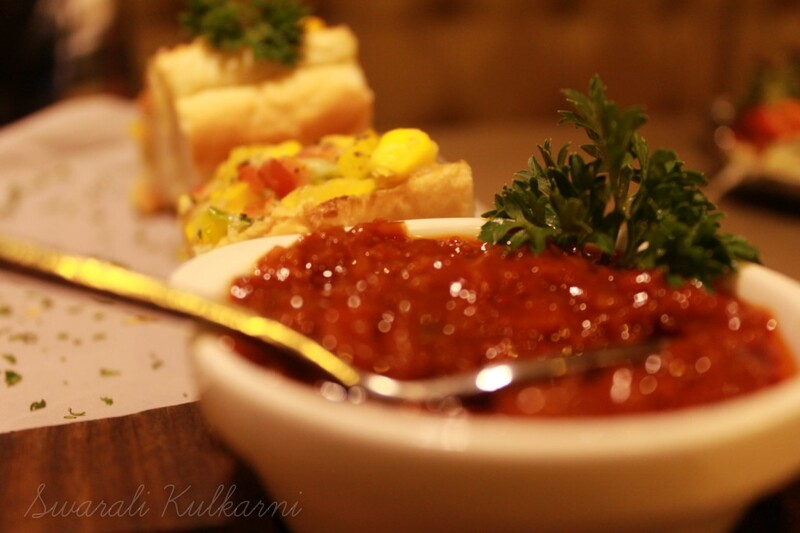 Right from the Indian to the Continental section, each and every dish we tried were drool-worthy and on point ! 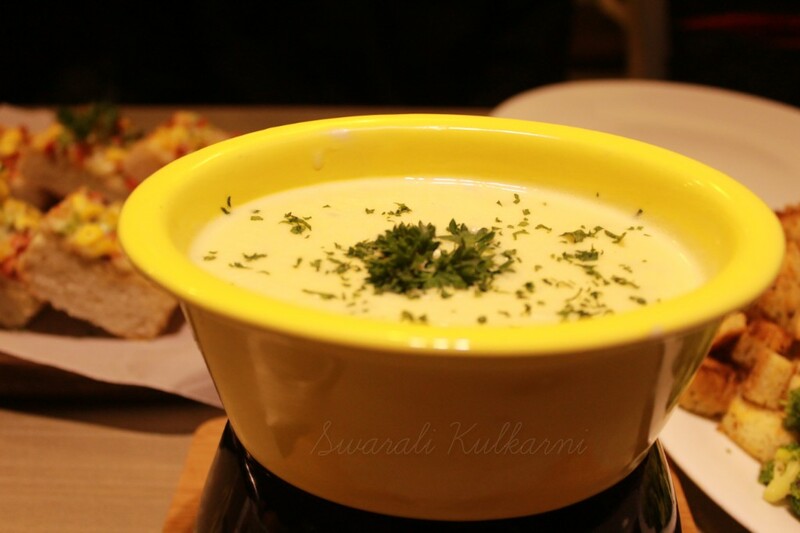 Melted cheese (assuming parmesan and a bit of processed) was served in a fondue pot which was evenly heated by a candle. 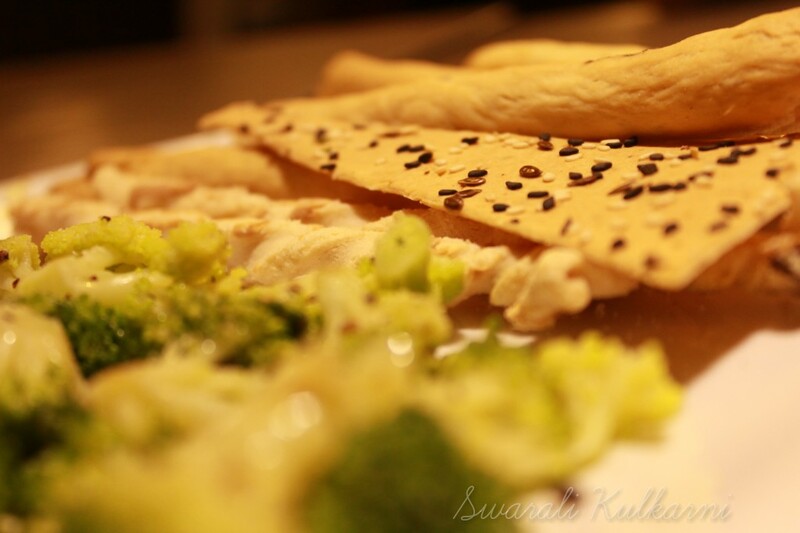 Plus we had broccoli, toasted bread,lavash and bread sticks alongside. All tasted bang on with the cheese! 😀 Would definitely recommend this for the first timers! 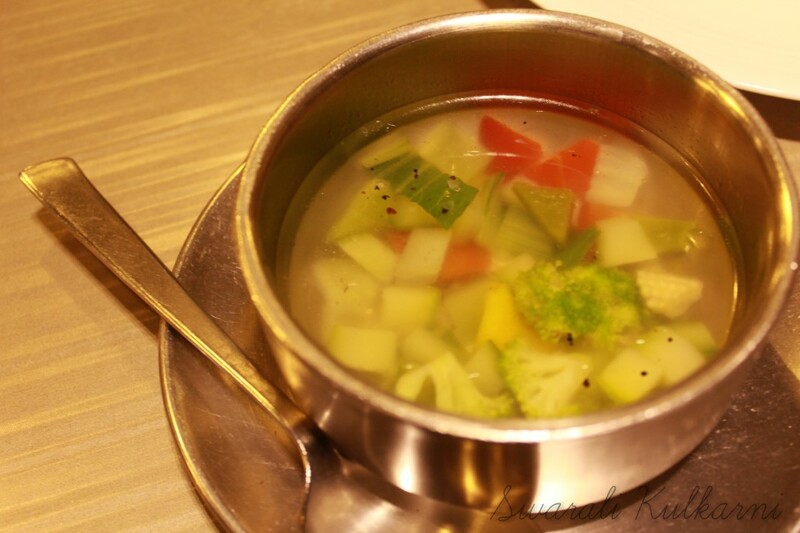 2.Thai Clear soup- Your regular clear soup with sliced broccoli, zucchini, bell peppers, cabbage and baby corn. Couldn’t really figure out the “thai-ness”, but overall okay. 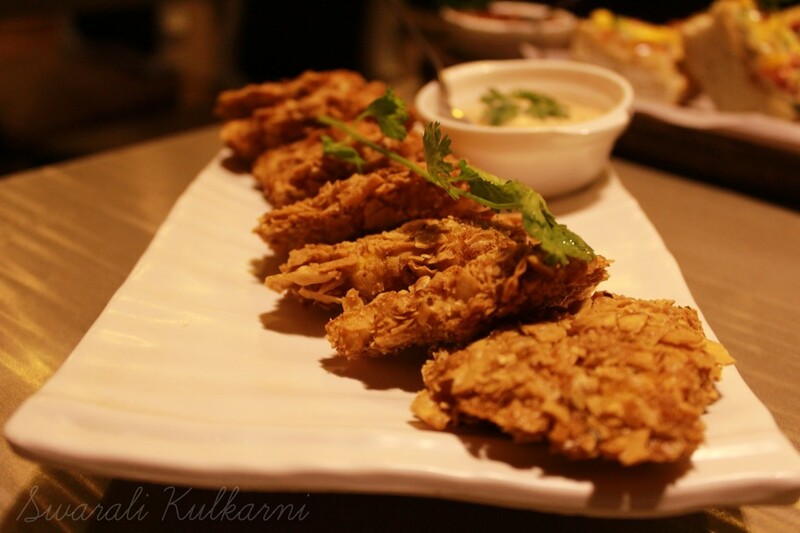 This dish was yet another favorite cuz it was uniquely made and had a batter and coat made up of Papad! Yes! 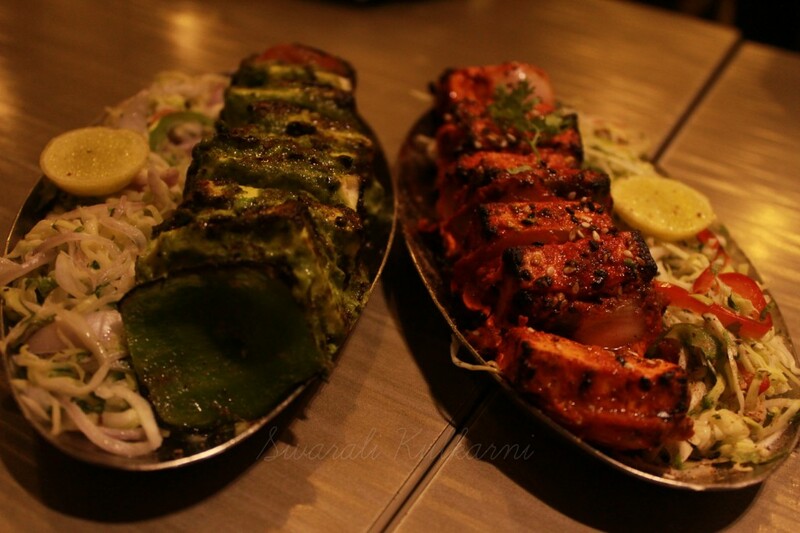 A distinctive and unique dish having a combo of both Paneer and Papad :D. Yummaaayyy! 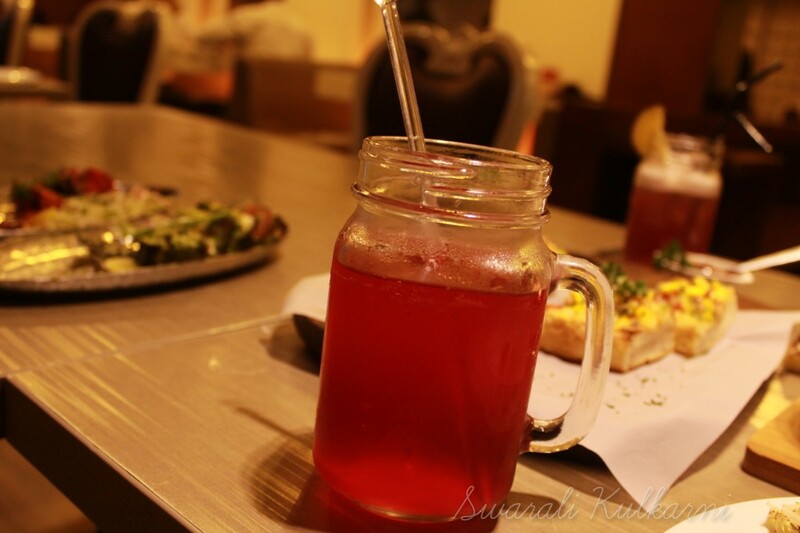 Both the starters were well marinated and the paneer tasted blissful! Personally liked the Achaari over the chaakori 🙂 Lip-smacking is the word! 5. 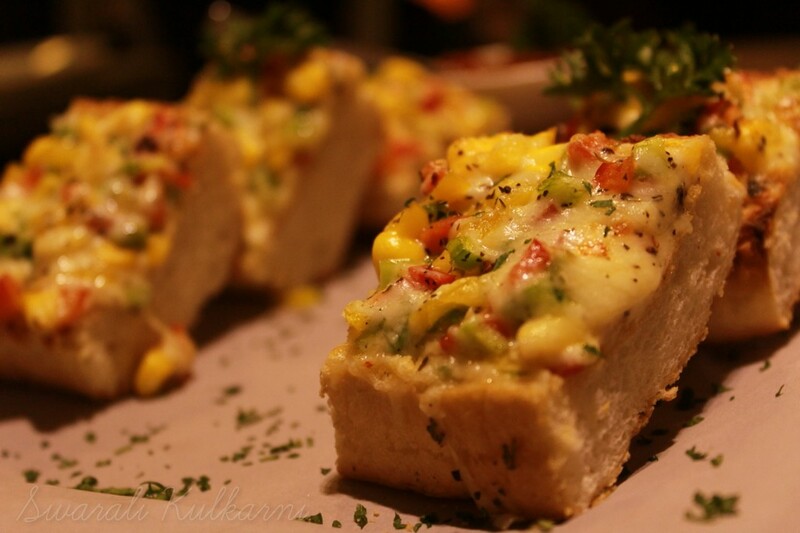 Flavoured cheese bread- More like bruschetta, these babies were soft and fluffy breads made with doughs which are specially prepared in-house! 😀 Flavorful and fresh, these tasted amazing with the salsa dip served alongside. 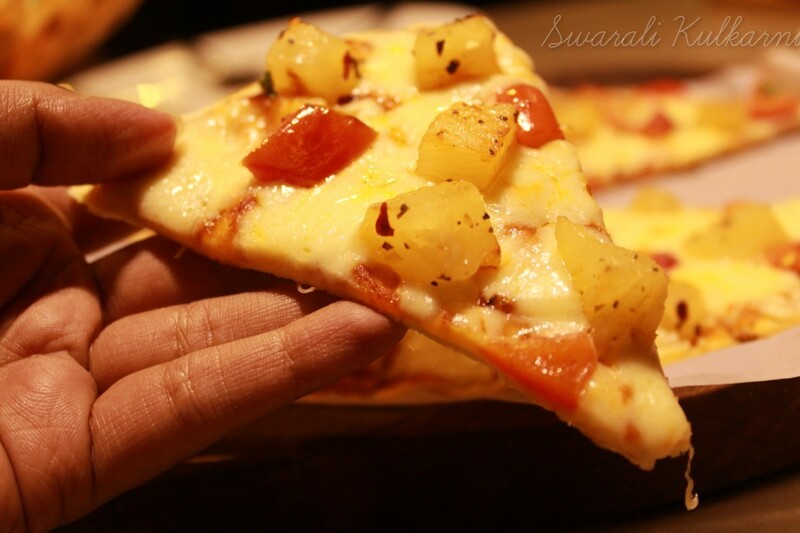 This pizza had these huge chunks of Pineapple and Tomato, plus a splash of vodka made it taste divine *_* Superrr innovative and yummy! 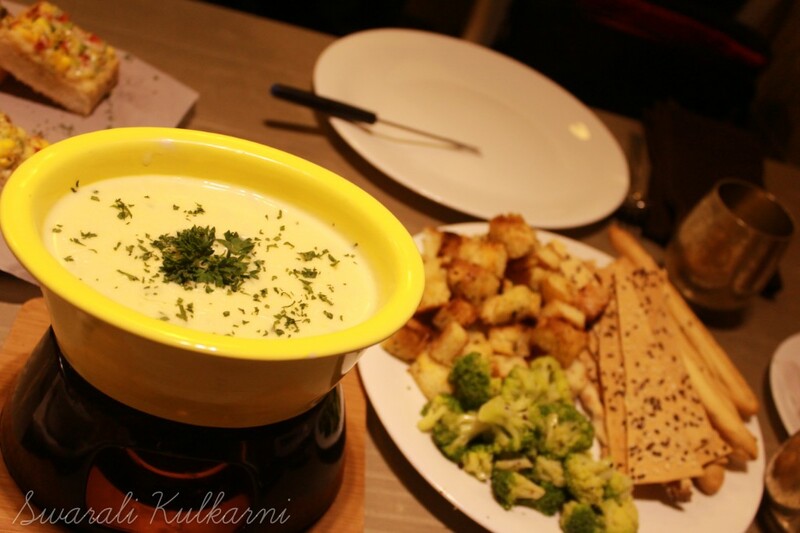 The gravy and paneer blended so perfectly, no less than a married couple! 😛 Tasted amaaaazing with the Naan! 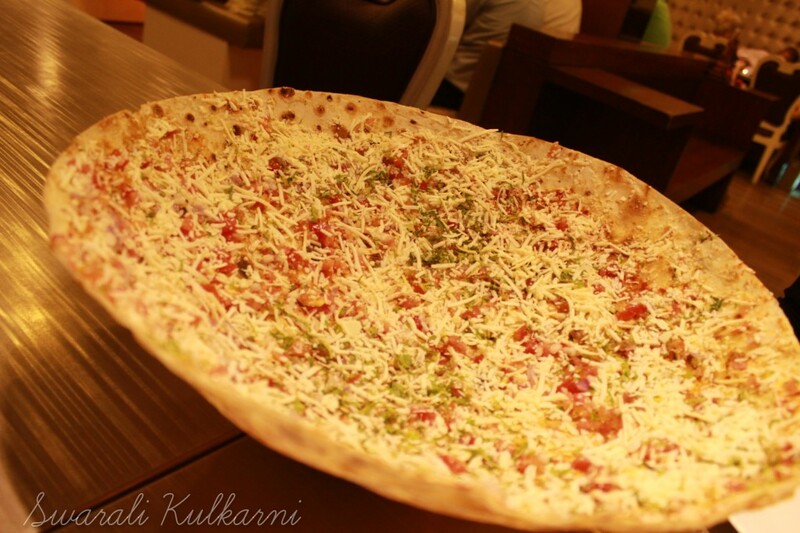 A bit towards the crispy side, this roti had a lot of cheese, tomato, onion and garam masala seasonings over it. Ohhh soo yummy! 9. Mocktails: We ordered for a Raspberry & Apple cruncher and S&F Cinderella. Both the mocktails were quite good 🙂 Would recommend the cruncher over the Cinderella! What to order for the first timers? 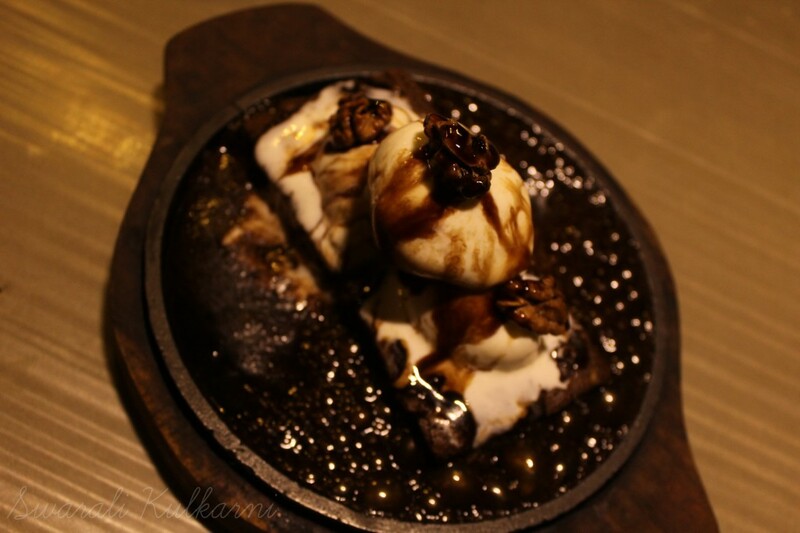 – Cheese Fondue, Flavored cheese bread, Achaari Paneer tikka, Cheese Fondue, Pizza-Al-vodka and Sizzling brownie. 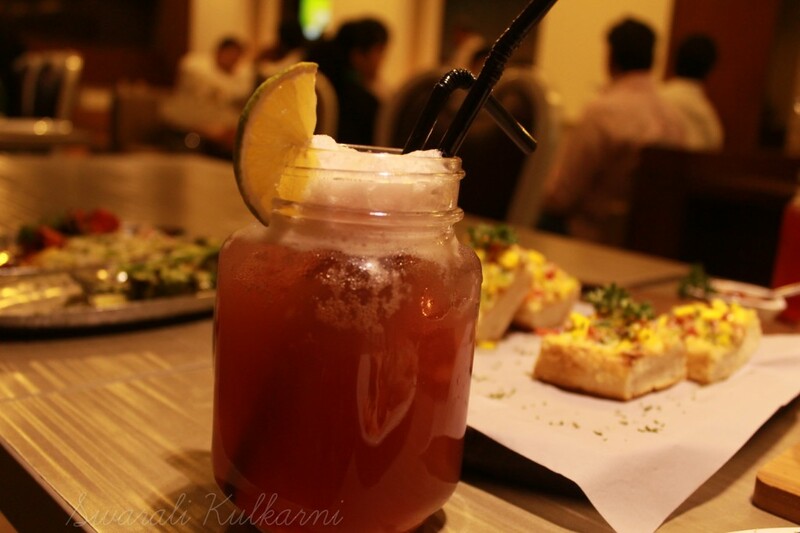 All in all a superb place for a vegetarian dine-in in South Mumbai! Dim Yellow lighting plus calm & soft instrumental music is quite a stress buster 🙂 Now I know why many office goers hustle in and out of this place soo often! Beautiful photos. 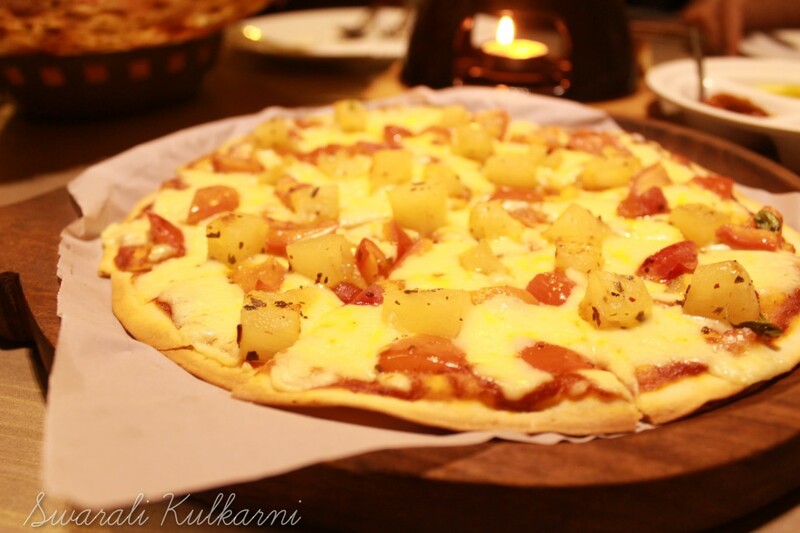 Great reviews , and a great guide for a mumbaikar who wants to explore more and more restaurants and food joints.